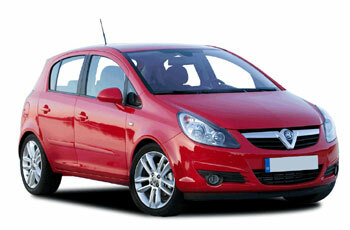 The Vauxhall Corsa is a car which has been extremely popular since being released in the early 1990s. Even before this, the vehicle which was called the Vauxhall Nova in the UK was a version of the Corsa, being called the Opel Corsa in other countries. It is one of those cars which you probably see everywhere you go and it sits near the top of the UK bestselling vehicles list every single year. The fact that you are already familiar with the name means that that it might be a car you consider buying, so how does it shape up? Let’s do a quick review of the car and also consider the Vauxhall Corsa insurance group. The original Nova version was kind of boxy and while it sold well and turned out to be a good solid car, replacement by the new Corsa saw a slicker, more rounded car hit the market. Further updates to the styling and overall enhancements have been since then, so the newer the model you look at the more attractive it is likely to be. There are a range of different models covering a number of engine sizes and styling differences. Some of the models run off petrol while others are turbo diesel cars. There are both automatic and manual transmission versions. 3 door and 5 Corsas are available and engine sizes run from 1.0 up to 1.7. There are some good reasons to buy a Vauxhall Corsa. In the range of current superminis currently on sale in the UK it is regarded as being among the most reliable and roomiest of them. The fact that so many of them are on the road in the country means that there are lots for sale, which gives you plenty of scope to try and pick up a bargain. They are cheap to run and are considered by many as a good choice both as a first ever car and also as a decent family run around. Reliability isn’t generally a problem with the Corsa and the wide availability of parts means that getting anything replaced or repaired shouldn’t be too much of a headache. The warranty also tends to run for a long time and servicing is usually relatively cheap and not too frequent either. With so many different models of the Vauxhall Corsa on the market it is no surprise to see that they cover a broad range of insurance groups too. At the cheapest end of the market, there are Corsa models which are rated in the lowest insurance groups. For example, in insurance group 2 you will find the Vauxhall Corsa S 1.0 ecoflex. We then need to move up to group 6 to find a few different Corsa models, such as the S 1.2i 16v and S 1.2i 16v Easytronic. As we climb up through the insurance groups we see a number of Corsa’s sprinkled about, in groups such as 8, 9 and 16. In fact, if we keep going we can even see one as high as group 32, which is the Corsa VXR 1.6u 16v Turbo. The Corsa is generally regarded as an economic car which is cheap to buy and cheap to run while being decent to look at and easy to drive. However, as we have seen, the wide range of models means that it is important that you know which one you are looking at and get an insurance quote on the right model. If you do this then you should be happy with the Corsa you buy and hopefully get a lot of fun out of it over the years. I like this car. It looks cute. I wonder how many people can fit in it.